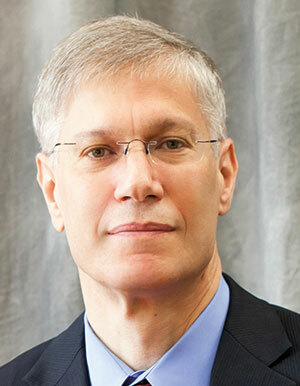 Yaron Brook is executive director of the Ayn Rand Institute. Dr. Brook is coauthor, with Don Watkins, of the national best-seller Free Market Revolution: How Ayn Rand’s Ideas Can End Big Government. They now have a new book, Equal Is Unfair: America’s Misguided Fight Against Income Inequality. He is the host of The Yaron Brook Show, a live BlogTalkRadio podcast airing Saturdays from 11:30 am to 1:00 pm PT, as well as host of The Yaron Brook Show on AM560 Chicago, also airing Saturdays from 2:00 to 3:00 pm PT. He is an internationally sought-after speaker and debater. He was a columnist at Forbes.com, and his articles have been featured in the Wall Street Journal, USA Today, Investor’s Business Daily and many other publications. He is a frequent guest on national radio and television programs and is a contributing author to Neoconservatism: An Obituary for an Idea, Winning the Unwinnable War: America’s Self-Crippled Response to Islamic Totalitarianism and Big Tent: The Story of the Conservative Revolution — As Told by the Thinkers and Doers Who Made It Happen. Dr. Brook was born and raised in Israel. He served as a first sergeant in Israeli military intelligence and earned a BSc in civil engineering from Technion-Israel Institute of Technology in Haifa, Israel. In 1987 he moved to the United States where he received his MBA and PhD in finance from the University of Texas at Austin; he became an American citizen in 2003. For seven years he was an award-winning finance professor at Santa Clara University, and in 1998 he cofounded BH Equity Research, a private equity and hedge fund manager, of which he is managing director and chairman. He serves on the boards of the Ayn Rand Institute, the Clemson Institute for the Study of Capitalism and CEHE (Center for Excellence in Higher Education), and he is a member of the Association of Private Enterprise Education and the Mont Pelerin Society.